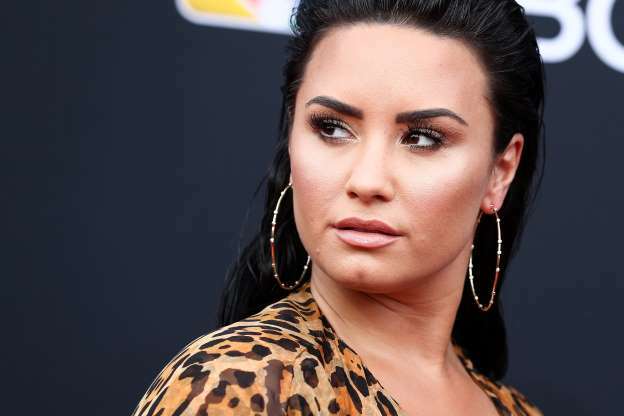 Demi Lovato Friday expressed her displeasure about an advertisement that was shown on her Instagram page, in which overweight girls were taunted in her opinion. The social medium has now apologised. It was an advertisement of the game Game of Sultans, in which the purpose is to build an empire as sultan. In the relevant screenshot that Lovato shared, you can see a sturdy girl who is specified “obese”. Also, a slender girl is depicted, which is called ‘pretty’. “This is extremely detrimental to anyone who is easily influenced by the social pressures that arise from diet culture,” 26-year-old Lovato writes in her Instagram Story. The singer, who herself was undergoing from an eating disorder, asks the social medium to keep these ads from the timeline of Instagram users. “Precisely because we are becoming more and more aware of mental health, I expect you to know better.” Also, in addition to Instagram, Lovato accuses the makers of the game.